You’re reading novel Trial Marriage Husband: Need to Work Hard Chapter 119 online at LightNovelFree.com. Please use the follow button to get notification about the latest chapter next time when you visit LightNovelFree.com. Use F11 button to read novel in full-screen(PC only). Drop by anytime you want to read free – fast – latest novel. It’s great if you could leave a comment, share your opinion about the new chapters, new novel with others on the internet. We’ll do our best to bring you the finest, latest novel everyday. Enjoy! Of course, An Zihao knew deep down who had exposed his relations.h.i.+p. It's just that...these two people were once his most trusted friends and family. "I'm really happy that Zihao can return to Cheng Tian," Lan Xi exclaimed. An Zihao was dressed in a black suit and he was refres.h.i.+ngly handsome. Maybe because he had been previously betrayed by his friends, he refused to look at anyone seriously - in fact, his look was uncaring and lazy. "Lan Xi, I never said I would come back...Don't tell me you want me to...work with a bunch of people that are worse than pigs and dogs?" Hearing this, Yang Jing and Luo Hao's bodies tightened in nervousness. "You will come back. Wait for me in my office, I have something to show you," it seemed Lan Xi already knew he would say something like this as she directly asked him to leave the room. Luo Hao and Yang Jing let out a sigh of relief. Lan Xi's eyes lit up before turning to the two people and speaking, "The newcomers look pleasing to the eye, but they still require professional training." "Does President Lan want Zihao to take charge?" Yang Jing guessed. "No...he can't take in new models at the moment," Lan Xi shook her head; she knew what Yang Jing was thinking, "I'll leave the responsibility to the two of you." Yang Jing and Luo Hao were confused. What did Lan Xi bring An Zihao back for? Lan Xi, of course, could not reveal the show that was about to play out. After entering her office, Lan Xi spotted An Zihao sitting on the sofa; he was shaking his feet atop the coffee table. Lan Xi's lips curved slightly into a smile, "Are you impatient?" "If there's something you want to say, then go ahead and say it." Lan Xi pulled out Tangning's details from her drawers and handed them to An Zihao, "I want you to manage this model." "I don't manage artists - especially not women." "Have a look first before you say anything." An Zihao grabbed the doc.u.ments out of Lan Xi's hand impatiently. After watching videos of Tangning on the runway, he was stunned. "Doesn't she give off a similar aura?" Lan Xi asked. "Tangning is very interesting. Give me an answer after you've looked through all of these. By the way, I've already signed Tangning; I just haven't officially announced it to the public. It's only been a few days, even Yang Jing and Luo Hao aren't aware of it. Tomorrow, I've organized for Tangning to make an appearance at a perfume endors.e.m.e.nt event. Go tell her for me and take this opportunity to become well acquainted." After flipping through the doc.u.ments briefly, An Zihao put them away and revealed a slightly sinister smile, "No matter how much her aura resembles Yun Er, she is merely an imitation." "Back when Tangning was famous, your Yun Er was nothing. Promise me, you will consider this carefully." An Zihao gave a slight grunt as he left Lan Xi's office. He didn't want anything to do with any endors.e.m.e.nt events. But, little did he know, his decision to not notify Tangning, would end up putting Tangning into an incredible crisis. Some time later, Lan Xi gave Tangning a phone call, "I've just emailed your new manager's resume to you. Read through it carefully. Tangning, this person is very capable but his personality is a little wild. If you can secure him as your subordinate, you will become even more powerful." Tangning furrowed her brows; all she wanted was someone loyal. But since Lan Xi had already made arrangements, Tangning did not refuse, "I'll have a look." "Tangning, at the Annual Model Awards, you went home with the Special Contribution Award and now you've signed on with Cheng Tian; you've already returned to the status of being an A-Grade model. All you need now are top-level fas.h.i.+on resources and a higher degree of public recognition." Tangning knew better than anyone, that being 26-years-old meant there was no way she could partake in any big compet.i.tions. So, the Special Contribution Award meant a lot to her. "My expectations for you are...not only to return to being Beijing's Top Model, but to be at the ultimate pinnacle - internationally..."
Tangning smiled without a word. As a model she would try her best to reach this goal, but...she had Mo Ting now, and everything she did was simply to match him. Tangning hung up the phone and turned around to look at Mo Ting. Mo Ting was currently looking through Tangning's emails on her laptop. He didn't look impressed by the manager information Lan Xi sent over. "What's wrong?" Tangning sat down beside Mo Ting. "I suddenly regret pus.h.i.+ng you towards Cheng Tian," Mo Ting said as he hugged Tangning. "This An Zihao has previously had relations with female artists..."
After hearing his words, Tangning let out a laugh, "Are you jealous? I haven't even met him yet." "Jealous?" Mo Ting shook his head. "If I don't keep an eye on my own belonging and lose it in the end, who am I to blame?" "I will keep my distance with him," Tangning wrapped her arm around Mo Ting's waist as she spoke. "You know that I am disgusted by those that have questionable relations.h.i.+ps with others when they already have a partner." Mo Ting understood what she was referring to. After being tricked by Han Yufan, Tangning had no tolerance towards actions like this. "Within the industry, there are many people that do not have a choice..."
"Those are all excuses," Tangning said straightforwardly. "Mo Ting, I am serious and I will only say it once: when I'm with you, I am completely transparent, I will never hide anything from you." "No matter if it's in the past, present or future and no matter what happens, I will be truthful to you. If I can't say it straight away, I will definitely find a chance to tell you...if you have any misunderstanding towards me, please be patient and wait for me, OK?" "As long as you are waiting for me, I will do all I can to run to your side." Mo Ting was touched by her words. After being with Tangning for so long, it was rare for them to share their true feelings. Now that the honeymoon period was over, it was time to face the reality. If they wanted to spend the rest of their lives together, they would definitely have to face some difficulties. "I will hold onto you," Mo Ting lowered his head and placed a gentle kiss on Tangning's forehead. "The two of us will share the same heart, path and life." "Then I won't be afraid of anything." "No need to be afraid..."
It was a cool autumn night. The organizers of the event gave Lan Xi a phone call to ask what was going on with Tangning. Was it because of Mini-Tangning that she was throwing a tantrum?! 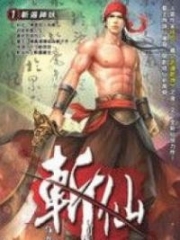 You're reading novel Trial Marriage Husband: Need to Work Hard Chapter 119 online at LightNovelFree.com. You can use the follow function to bookmark your favorite novel ( Only for registered users ). If you find any errors ( broken links, can't load photos, etc.. ), Please let us know so we can fix it as soon as possible. And when you start a conversation or debate about a certain topic with other people, please do not offend them just because you don't like their opinions. You're reading Trial Marriage Husband: Need to Work Hard Chapter 119. This novel has been translated by Updating. 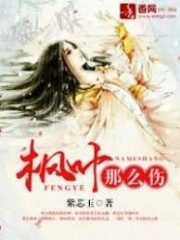 Author: Passion Honey, 百香蜜 already has 6395 views. Current Time is Apr-24-2019 00:03:29 AM.